First of all I'd like to remind you to vote for your favorite photo to select a winner for the Images Giveaway... I was only able to select 36 out of all the ones I received. Thanks for your help! 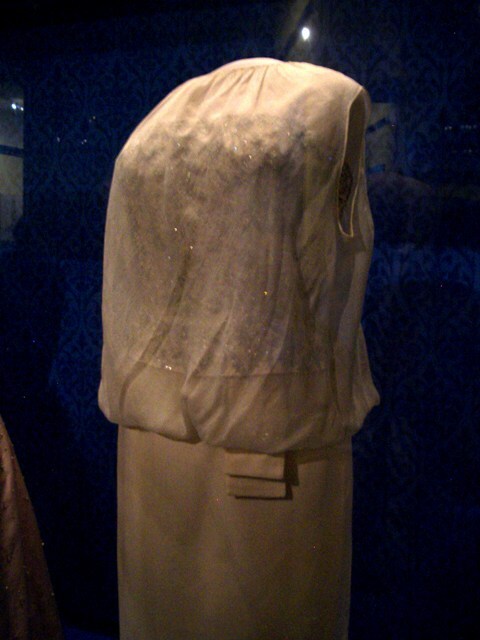 I remember a while ago I watched mystery movie where the crime happened at a party at the Smithsonian Museum to unveil an exhibit of the first ladies dresses. The thing that I really remember about it is the the exhibit so when I visited the Smithsonian Museums I made it mandatory to go and finally see the dresses worn by the first ladies through the years. Enjoy the day as I will be indoors with the AC at full blast! 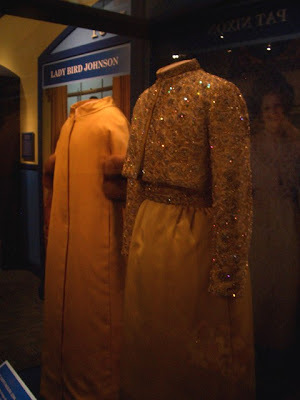 How gorgeous to see these images of the gowns worn by the first ladies. the dresses are so lovely! I've wanted to see this for a while now. Just means I need to take another trip to DC! So gorgeous! 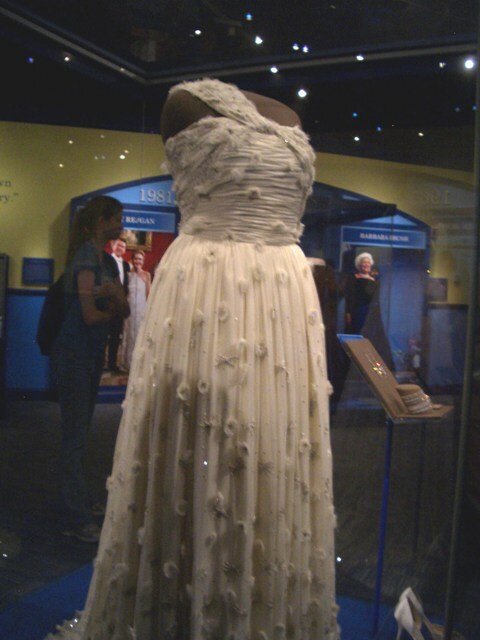 Jakie O's and Mrs. Obama's dresses are my two favorites. Such stylish first ladies they were and are! michelle's dress still gives me chills. i'd get married wearing that! This is so cool! I've always wanted to go to the Smithsonian ...hopefully one day =) Great photos! 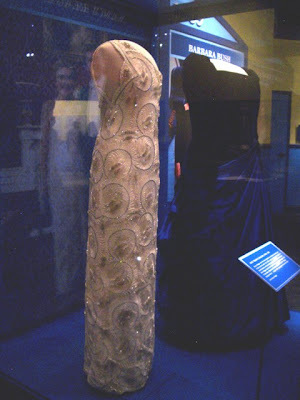 I love Jackie O's and Michelle's dress too ..
Oh...so great! What a great photos! Thanks for sharing this amazing post with us! 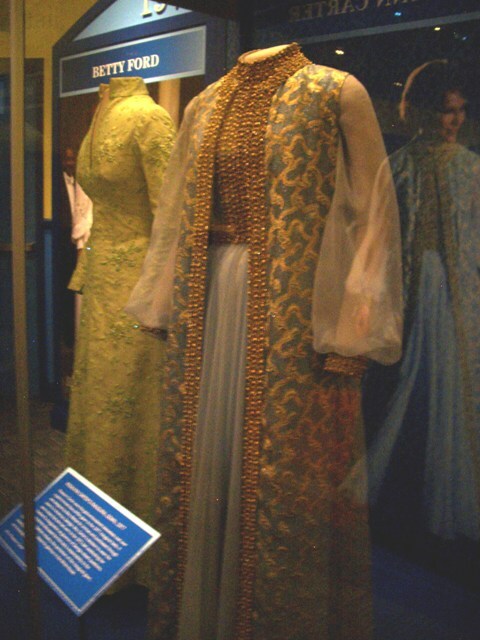 These garments are exquisite! What an amazing exhibit. Thank you for your lovely comment on my blog. Fashion history is so fascinating and inspiring. I would love to see exhibit like this in person! Hi!! thank you so much for visiting me. I will be back soon and have a complete visit to your blog, I'm very curious about that!! Great dresses. And the Smithsonian has been on my radar for some time, too. I've never been to the Smithsonian but now it's on my list of things I MUST do! I'd kill to see Nancy Reagan's dress up close...it looks gorgeous! Which was your favorite! I have to commend these first ladies for willing giving up such gorgeous dresses! I might have a hard time parting with the one I wore if I had been in that situation. beautiful! i had a book of dresses that i found at an estate sale i passed it on to a friend but the dresses were amazing!